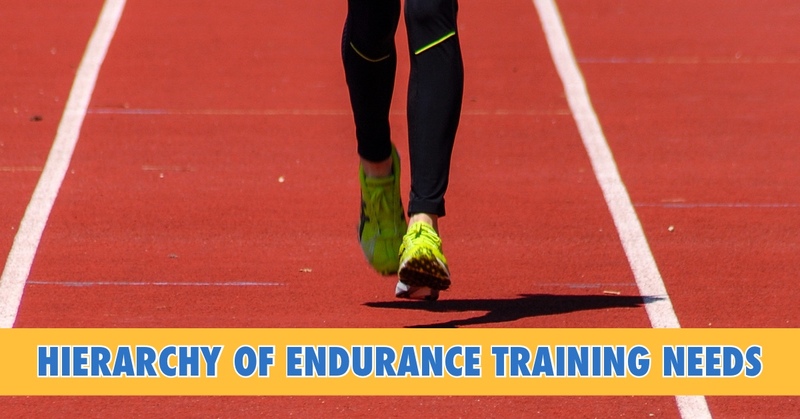 When you want to improve as a distance runner, there are lots of approaches you can take. You can run higher mileage, you can do more speed work, or you can add in more supplemental work (strength training is always a plus!). But before you can decide which to do, you need to know what makes the most sense to do next in YOUR situation. 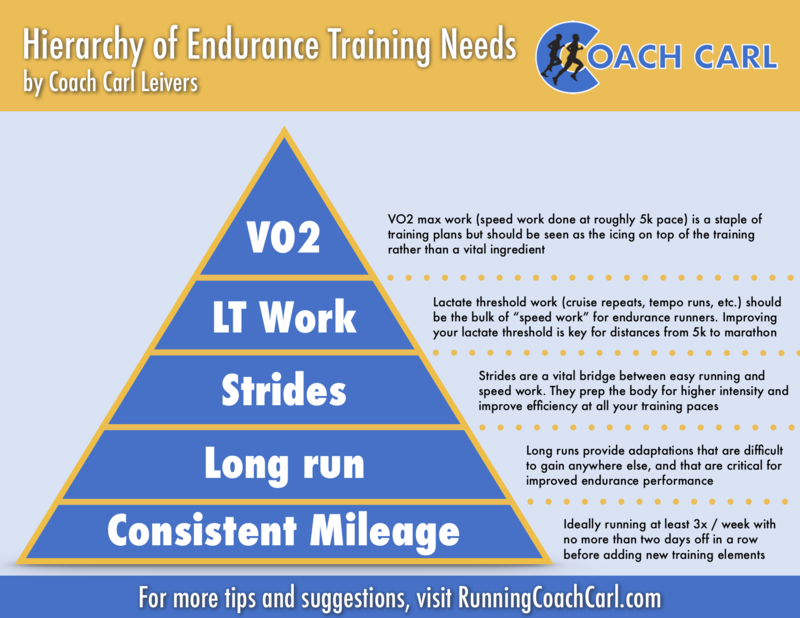 In the chart below, I have listed the “hierarchy of needs” for distance training. At the bottom is “consistent mileage” — it doesn’t make much sense to try to add any of the other components until you are doing that. Next is the long run, and so on and so forth. Note that this is NOT the order that you should do this work within a specific training cycle per se — but rather the foundational work that needs to be part of your routine before you start adding in new elements.